The basics of transportation within Shaanxi Province are easily understood. That is, as with other Provinces of the Peoples Republic of China, transportation is divided between the three main branches of public transportation; air travel, railroads and roads and highways. On a more regional and local level public transportation consists of the railroads and highways, supported by regional long distance bus lines. At the local level one may find subways in modern day cities, where in most other cities and towns there are bus- and trolley lines, local electric trams, low cost shuttle buses ferrying folk to regional destinations and of course the local bus and taxi. Thus explained the general situation of public transport for all of China. Described in more detail below are the specifics for Shaanxi Province and the main tourist and travel destinations within. Where traditionally the railways formed the backbone in public transport, in modern day China they have been surpassed in many ways by the blessings of air travel. With even more civilian airport in the planning for the year 2020, in the current day situation there are 10 cities in Shaanxi Province and altogether 6 civilian airports. Starting at the top of the list, the 2nd largest Airport in northwestern China and therefor by far the most important in the Province is Xian Xianyang International Airport. As one may find, this airport is one of the major distribution ports for air travel across China, and by now far beyond. Next in line are the airports of Provincial Cities in Shaanxi such as; Ankang Wulipu Airport, Baoji Airport, Hanzhong Xiguan Airport, Yanan Ershilipu and Yulin Yuyang Airports. Travel to and from Shaanxi Province by air, or as an alternative make use of the high-speed railway network which is now being expanded all over the Nation and even beyond, among things to Hong Kong and Thailand. The second main pillar of public transportation within China and Shaanxi Province are the railroads. In Shaanxi Province there are two types of railroads; the first is the mainstay regional and national railway grid run by the China National Railroads. 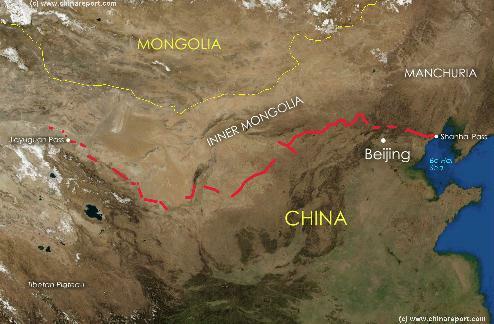 One may find railroads extending across Shaanxi Province and neighboring provinces as well. main train station in the Capital Xian known as Xian North Station (Bei Zhan). The other city that has so far become integrated with the high-speed railways is the city of Baoji which is the current last station. In the near future the trains are planned to pass further west into Gansu to Lanzhou, from where one could already travel all the way west to Urumqi or southwest to Lhasa. Currently there is no high-speed train connection northward or southward. 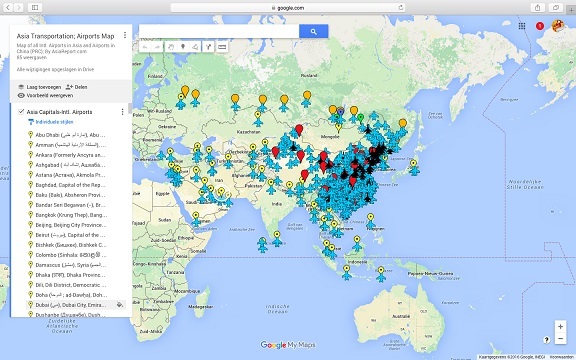 In addition it may noted that currently service of high-speed trains extends west beyond Xian to Baoji). Although a multitude of additional railways is planned to be operational by the year 2020, on a very ambitious schedule, to date only two high-speed railway lines are operational across Shaanxi Province. 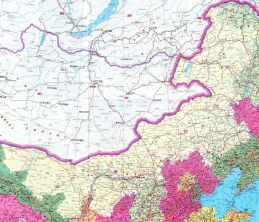 Baoji City, Xishan Town, Yangling Town, Xianyang City, Xian, Weinan, Huashan, Lingbao (and In Henan Province: Sanmenxia City, Mianchi Town, Luoyang City, Gongyi Town, Zhengzhou City). Xian, Weinan City, Yongji Town (and in Shanxi Province: Yucheng Town, Wenxi Town, Houma Town, Xiangfen, Linfen City, Hongtong, Huozhou, Lingshi, Jiexiu, Pingyao Town, Qixian Town, and Taiyuan City). The main modern highway connecting from Xian eastward to Linfen and Taiyuan in Shanxi Province is the G5 Highway which passes through the northern regions of Weinan City Prefecture. In addition, more to the south, the G30 Expressway connects the cities in Henan Province via Weinan City to Xian and satellite city Xianyang. Back-up roads are the older mainstays of G310 / G045 National Highway passing from the northwestern corner of Henan Province over Weinan City to lead over Xian. In the southern parts of Shaanxi Province popularly known as the Shanbei Region, there are three major cities. The road connections within this region and these three city prefectures is as follows; In Shangluo City and Prefecture in the south-west the main road connection today is the G40 Expressway which passes from Xian via Lantian County, Shangluo City, Danfeng County and Shannan County down to Nanyang in Henan Province. Mostly alongside of it lies the old G312 National Highway. The additional G70 Expressway leads from Shanguo City via Shangyang County Town down to Shiyang City in the northwest of Hubei Province. G7011 and the old G316 National Highway connect Shangluo with Shiyang in Hubei Province with the city of Ankang in south central Shaanxi Province. In Ankang Prefecture the main road directions are again north south and east to west. The G7011 Expressway is the main route eastward to Shangluo City and then Henan Province. whereas G4213 Expressway passes to the south-east connecting via Pingli County Town and Zhuxi County Town down into Hubei Province and ultimately to Shiyan City. The main route south-westward from Ankang is the modest old S207 Provincial Road, which however allows for a scenic drive through an impressive mountainous landscape. Having past the large Yinghu Lake S207 Provincial Road then heads straight south to end up in the Lan River (Lan He) Valley to Langgao County Town of Ankang Prefecture. From there it continues south-eastward following the path of the Lan River past Nangong Mountain and Qianjiaping Forest Park to Zhenping County Town of Ankang. Between Langgao and Zhenping the route follows the valley of the Zhuxi River.The route then continues down across the border to Wuxi County Town of Chongqing City Province. Ankang further is connected via G65 Expressway to Sichuan Province. This route leads westward out of Ankang and then straight to the south-west passing Ziyang County Town on the way to the Provincial Border. G7011 Expressway and G316 National Highway make the connections between Ankang and Hanzhong Cities. Roads in Shaanxi Province are best discussed by region and city prefecture, however a brief short overview can be given. Going around clockwise, the main road leading north from the Capital Xian is the the G65 Highway. As an alternative, the older mainstay G210 National Highway still exists, leading from Xian over Tongchuan towards Yanan and Yulin as does its more modern counterpart. Notably, National Roads unlike modern highways do pass through county towns, thus they may be prefered as traveling routes for the more informed, curious or adventurous traveler in China. The secondary highway in the north of Shaanxi Province is the G22 Highway which cuts from west to east (or vice versa) across the Province passing Yichuan and Fu Counties and to the south of the city of Yanan in Yanan City Prefecture. film ∢Children of Huangshipu∢ this road leads across the Provincial border into Tianshui Prefecture of neighboring Gansu Province. Notably, the G316 Highway has a splitting point south of Liuba County Town, where a branch splits off heading northward directly to Taibai County Town of Baoji Prefecture and from there on to Baoji City itself. G7011 Expressway connects westward out of Hanzhong City via Mianxian northward and around to Gansu Province. While the older and more secoundary S309 and S307 Provincial roads connects Hanzhong via Mianxian and Luoyang Town to Kangxian County Town and then Longnan City of Longnan City Prefecture in Gansu Province. Lastly, in Baoji Prefecture in the Central West of Shaanxi Province the main connections are much as they have been for the last two millenia or more. Following the Wei River Valley upstream from Xian and Xianyang, one automatically passes up to the city of Baoji. Today, with the Wei River more or less eliminated as transportation route, all travels be it by train or road follow the same pattern. Communications between Baoji and Xian are therefor excellent, following the route of either the G30 Expressway, or G310 or G045 National Roads, one may travel between these cities. From Baoji City the G30 Expressway connects directly westward to Tianshui City and then to Dingxi, both of the latter in adjacent Gansu Province. Going north and up out of Hanzhong are the S212 and S104 Provincial roads which meet up at Qianyang County Town. S212 continues further in the northward directions. The National Railway grid of the Peoples Republic provides for rail connections with all major cities in the Province. Notably, historic connections travel east to west along the Wei River valley with Xian and Baoji as the main stations. Beyond Baoji western railways lead into neighboring Gansu Province roughly along the trajectory of the old Silk Road, or upwards into Ningxia Hui Autonomous Region. In the north in Shanbei region only one main railroad leads past the three cities of Tongchuan, Yanan to Yulin, the ancient Fortress and Market town along the Great Wall of China. In addition, the local railway connects Yanan City, Yulin City and Shenmu County, whereas the BaoShen railway connects northern Yulin via Shenmu to the heavy industrial city of Baotou on the Yellow River within Inner Mongolia. 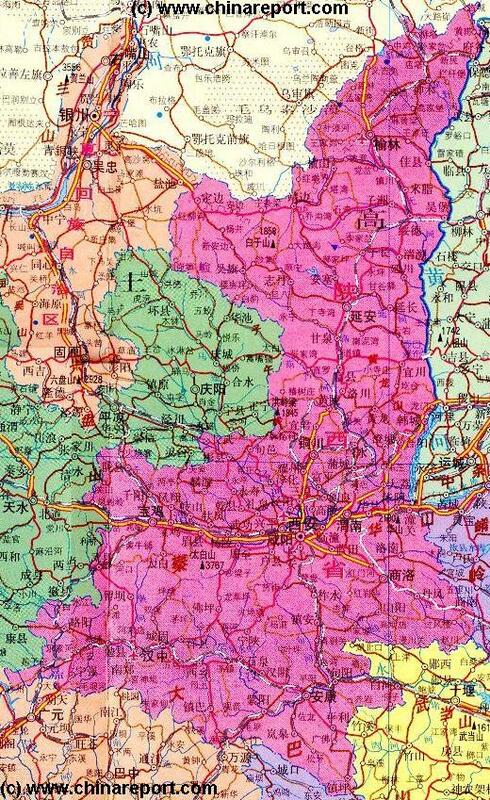 In the south in Shannan Region separate railroads connect Xian with Shangluo, Ankang and Hanzhong cities. Shanxi Province across the Yellow River to pass through Zizhou County, Hengshan County, Jingbian and Dingbian Counties of Yulin City Prefecture on its way to adjacent Ningxia Hui Autonomous Region. pattern east-west, south to north and converging on the Capital Xian.